Pro Tools | Up Close And Personal With The Avid S3 Control Surface. Is It As Good As Audio Professionals The World Over Say It Is? Avid’s S3 control surface was released back in 2014. At the time it was received with a shade of negativity as it appeared to be just a quick rehash of Avid’s S3L-X live sound controller instead of being a unique product all of its own developed from the ground up for the studio market. Since it’s release I’ve been itching to get my hands on one in my studio. I’ve had occasional moments alone with the S3 at events such as NAMM though I’ve never felt that these encounters were intimate enough to truly evaluate the S3’s merits. I’ve been a control surface user throughout my entire Pro Tools journey of 15 or so years. I’ve owned a Digi 002, 003, M-Audio Project Mix, trained on a Control 24, currently use a C24 and recently been teaching on an Avid D-Control. For me, Pro Tools just isn’t Pro Tools without a dedicated control surface in front of me. The devices I just mentioned are all exceptional control surfaces for Pro Tools. Why do I hold all of these in such high regard? Simple, these only worked with Pro Tools meaning the design and layout of these devices were all deeply integrated into Pro Tools. The S3 is different to what came before as it features the forward thinking Eucon protocol which enables this control surface to work with other DAWs which is great. There is nothing worse than owning an expensive Avid control surface to see that’s it’s completely inactive when working in Logic or Studio One. Over the last 3 months I’ve had an Avid S3 on loan. I coupled it with an iPad running the Pro Tools Control App as I was keen to find out what the S3 was like to live with. Top tip: If you are in the market for a control surface for your studio you must make sure you are investing in a product that you are completely happy with before shelling out the cash as control surfaces will typically sit from and centre in your mix position, you don’t want to be reminded of a regrettable purchase every time you sit down to mix do you? You must determine if it’s control capabilities are useful to you, easy to use, easy to understand as well making sure that it’s build quality is top notch as any control surface you incorporate into your studio will get a hard and demanding life under your fingertips. 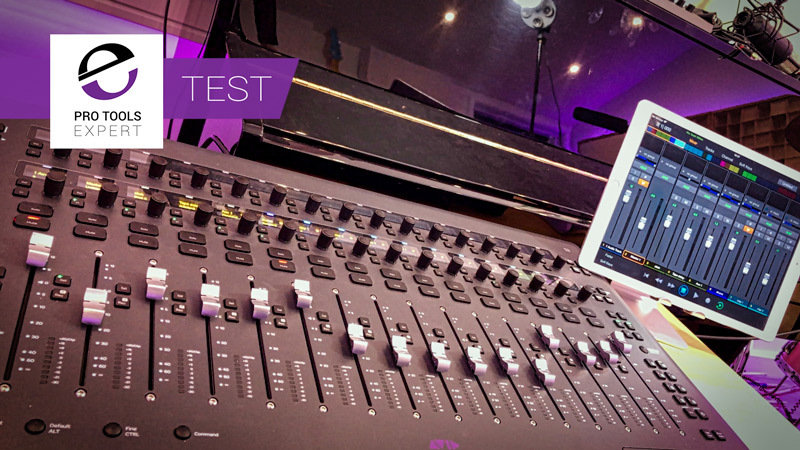 In this free video we give you an up close and personal look at the Avid S3 coupled with an iPad running the free Pro Tools Control app to give you and idea of what the S3 could be like to live with if you chose to invest in one for your studio.